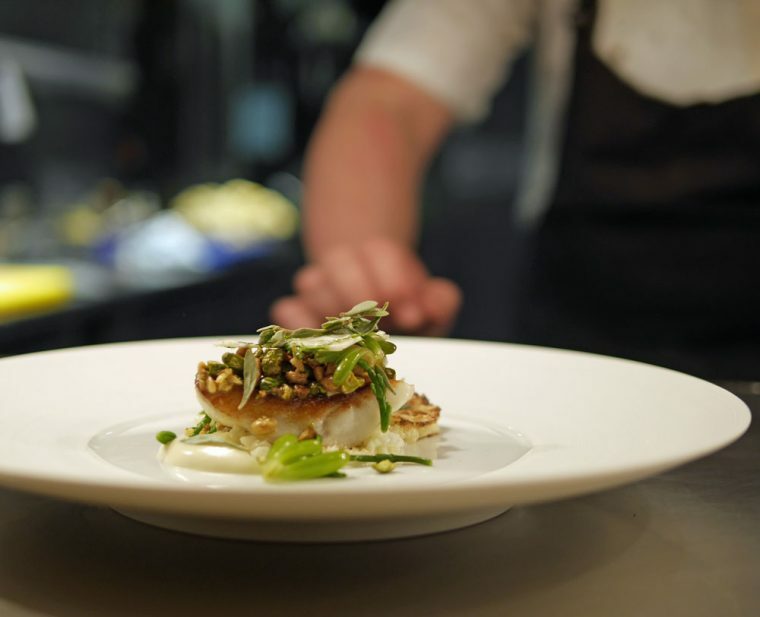 What could be better than a weekend exploring culinary offerings in a part of the British Isles I haven’t visited before? 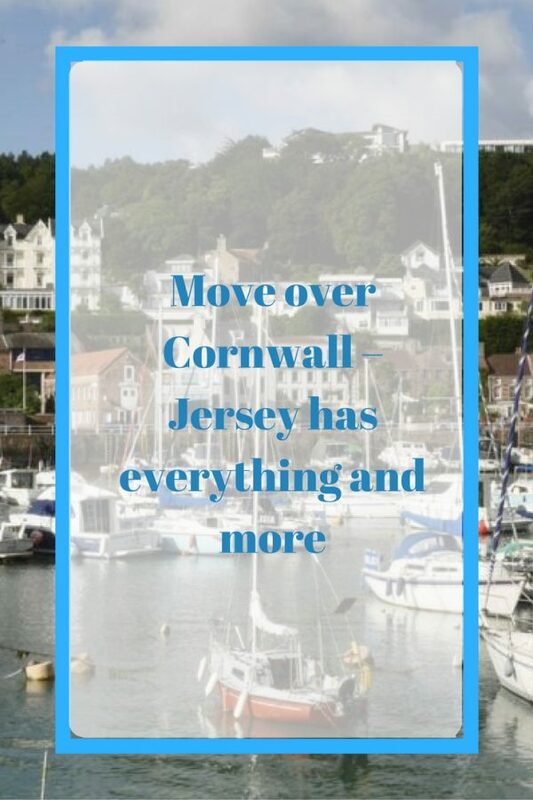 Jersey is one of those places that has had an almost mythical quality for me, thanks to my mother’s stories of the war (not that she lived there, but the Channel Isles were the only part of the British Isles that were occupied) and to a few TV shows (I’m old enough to remember Bergerac). I’ve never really thought of it as a centre for food – though of course Jersey Royals and Jersey dairy products are famous worldwide. Over dinner with at John Garton from ‘Genuine Jersey’ at Shaun Rankin’s Michelin Starred ‘Ormer’ restaurant, I learnt more. And then, over the next few days, I had a chance to explore more and find out for myself. There has to be something to make this small Island community with around 100,000 inhabitants worthy of three Michelin star restaurants and a whole host of other top quality eateries. 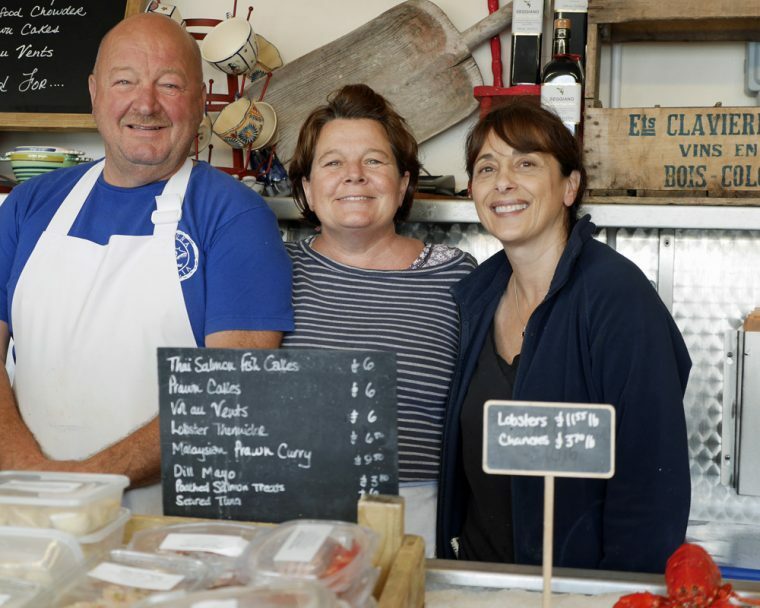 John is convinced that the produce is very much at the heart of the Jersey food experience. He tells me there are four key elements to the Jersey food offering. 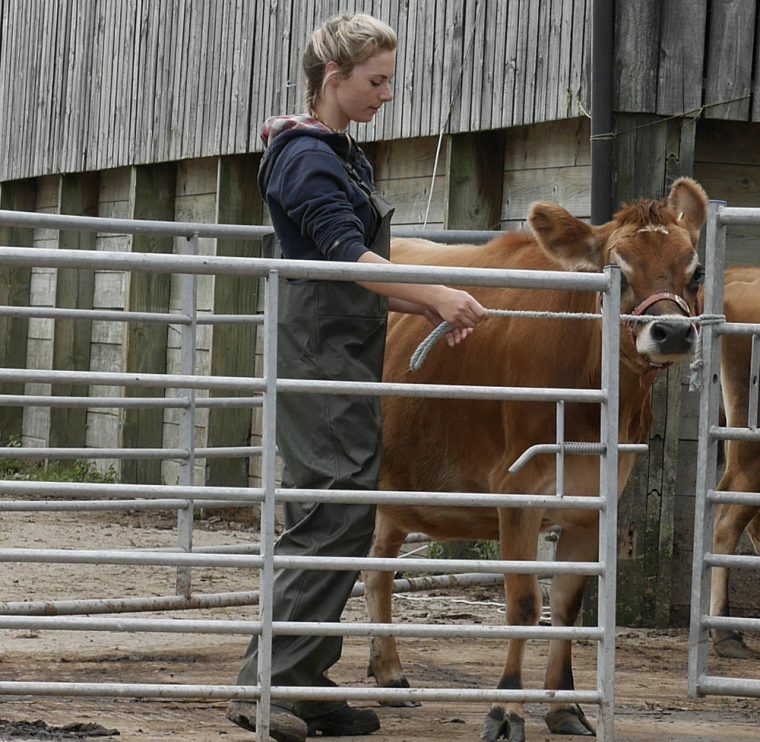 Jersey dairy is the first – and perhaps the most misunderstood. I can remember my mum buying Jersey milk and butter for special occasions. The milk has a rich cream and both milk and butter have a high fat content and a distinctive yellow colour. But, what you can buy on the mainland isn’t the real thing. It makes sense when it is explained to me. The Jersey is a breed of cow, caramel coloured with a soft, gentle face. 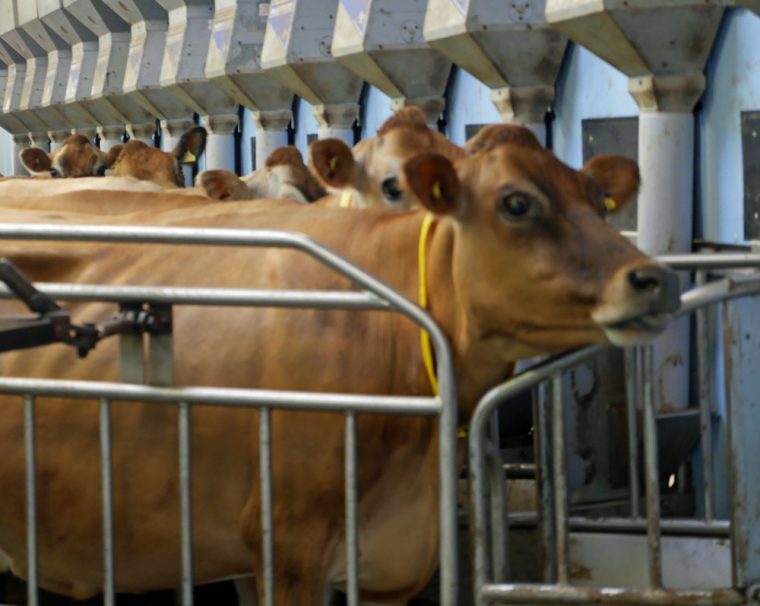 There are Jersey herds around the world and they produce Jersey dairy products. But, in terms of terroir, it isn’t the same at all. 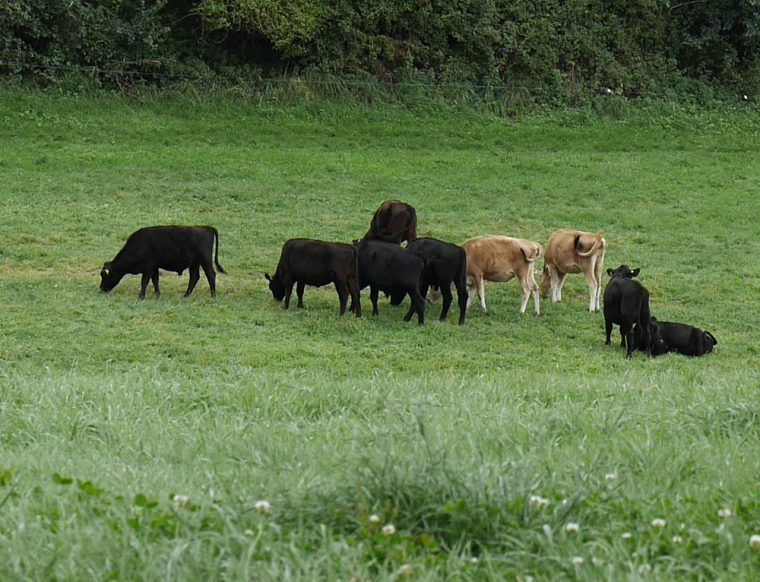 A Jersey herd on the island will eat grass that is a lush vibrant green, yet infused with the salty sea air. It makes for something very special which isn’t exported. Generally, dairy product on the island isn’t organic certified, but there is one organic herd, enough to supply the needs of the island itself. Milk on the Island was originally produced by local farmers for their own consumption. Now, the milk is predominantly managed by the Jersey Milk Marketing Board, a voluntary cooperative of 28 Dairy Farmers so that the distribution and sale of the milk is co-ordinated. It still seems to be very much a family business. I visited two of the farms – Lodge Farm run by Paul Houzé and the Island’s only organic herd which belongs to retired farmer Sadie Le Sueur-Rennard who is also the Constable of St.Saviour, a position in the Jersey Honorary Police rather like a mayor, and has a seat in the Jersey Government. We were there just at the start of the evening milking – which was being looked after by Paul Houzé’s daughter Rebecca. Jersey Royals, the second, are those nutty, golden new potatoes, harvested between March and July. What makes them unique? 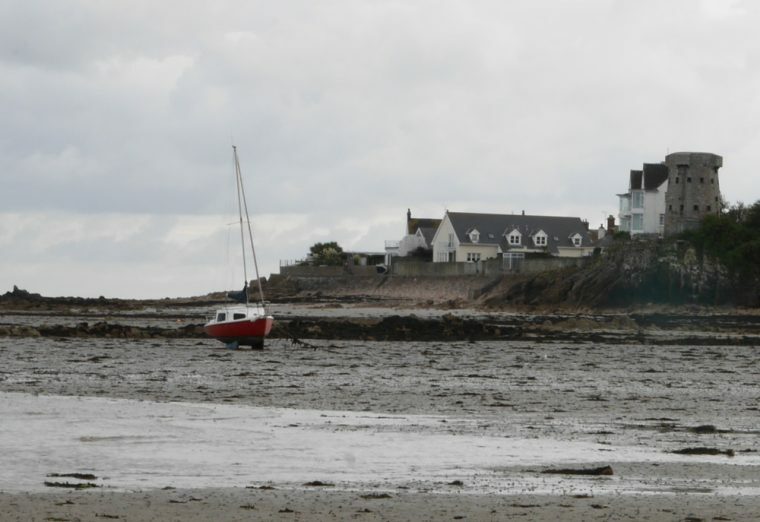 The light, well-drained soil of Jersey is traditionally fertilised with vraic, seaweed. 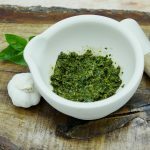 It’s a practice that dates back to the 12th century and which of course will add a unique taste to any produce. While that is less common now, the planting method is still followed meticulously – those potatoes planted on the early slopes are hand lifted, then the potatoes are checked and graded daily and shipped s0 they can be enjoyed at their freshest. The Jersey Royal has a PDO, a guarantee that it has been produced in Jersey. It is partly the delicate thin skin of the Jersey Royal that makes it so tasty, not peeling a Jersey Royal adds to its distinctive flavour. With most of the nutritional value of a potato being in its skin, having a potato with a thin skin and fantastic natural flavour is not only tasty it is also very healthy. These potatoes were small and peculiar in shape but they had a fantastic flavour and paper-thin skins. 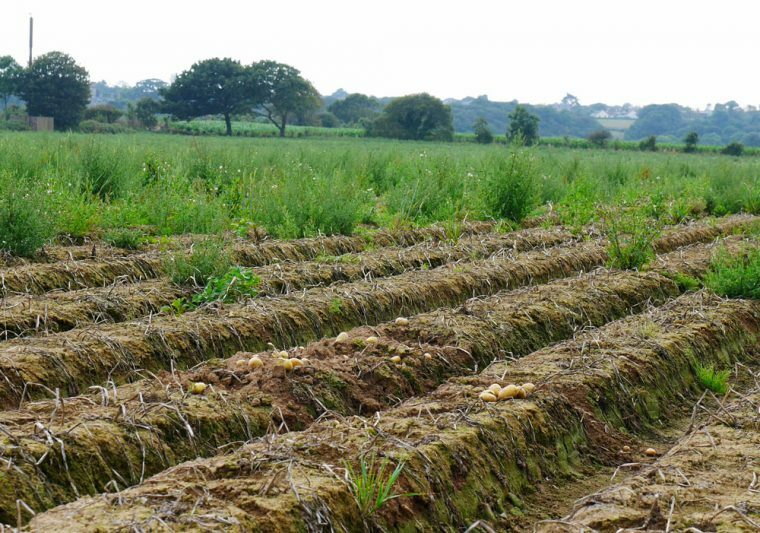 Hugh de la Haye and his friends christened these potatoes the Jersey Royal Fluke. 120 years later the Jersey Royal is a huge commercial success and grown only in Jersey. Hugh de La Haye never realised what he had found and made no money from his discovery because he shared it with his fellow farmers and did not exploit the success of his potato. I’m something of an oyster addict and I am intrigued to discover that many of John’s third staple, Jersey Oysters are shipped to France as what is called ‘half ware’. Around 12 million partly grown oysters are sent to French and UK shellfish farmers who then grow them to full size. 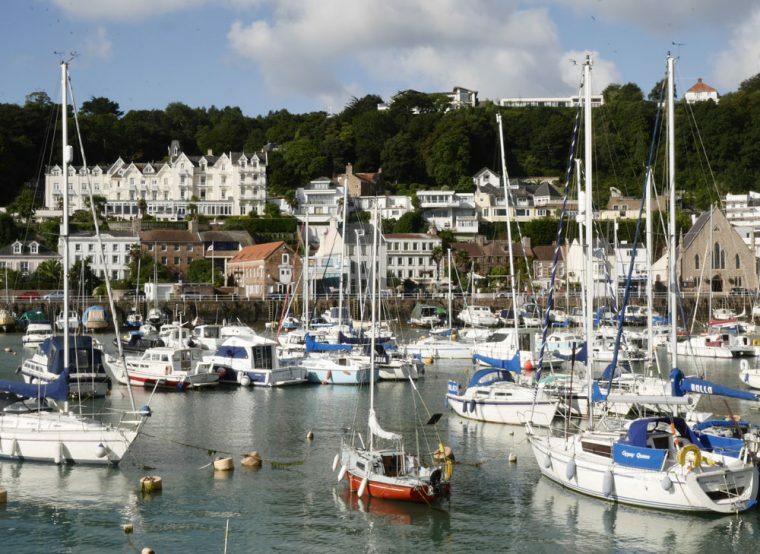 Of course, those which are allowed to mature in the Royal Bay of Grouville are particularly fine, the gulf stream warms the waters of the area and the tides provide a daily natural filtering effect. I went along to see the 25.1-hectare oyster farm in the Royal Bay of Grouville. It faces out to the Normandy coast and benefits from a powerful incoming tide which helps to clean and filter the oysters naturally. 90% of the oysters are exported to France. The Jersey Oyster is the world’s first ASC (aquaculture stewardship council) certified oyster farm. Last but by no means least, Jersey Lobsters are caught in the rough seas around the island, some of the cleanest waters in the world, by traditional potting methods. The fishermen supply fresh lobster daily to the Fish Market where they are stored until they are needed alive in fresh running sea water. They are then cooked to order and sold ready-cooked or raw in the Fish Market. 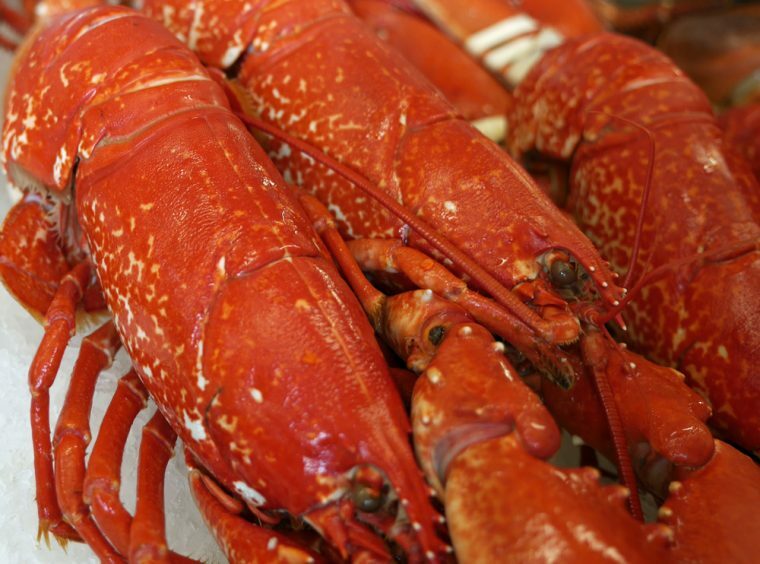 The lobsters caught off Jersey in the Granville Bay can now officially be called sustainably caught Lobsters as they are now accredited by the Marine Stewardship Council. 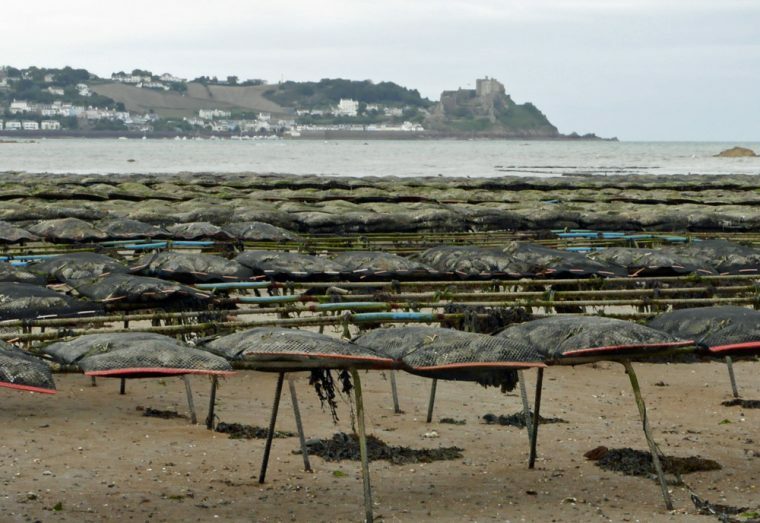 This shows the sustained effort by Jersey and French fishermen to maintain breeding stocks of Lobster. Granville Bay had the first-ever international fishing treaty in 1839. Again, much of the produce is sold to France – John tells me that there was little demand in the UK and that we prefer to buy from the US and Canada. Of course, the island keeps plenty for its own use, so I determined that at least ONE meal I ate would be of Jersey Lobster. In fact, I think I managed to spend most of the weekend eating extremely fine food from Jersey. 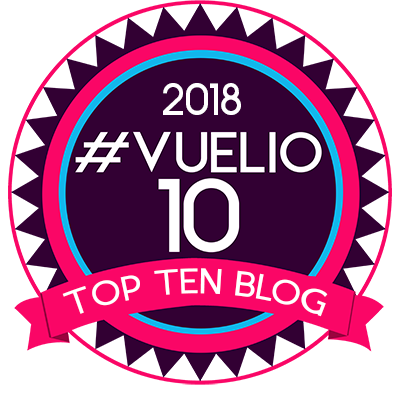 So, there’s more to come in the form of where to find some great food on the island. With many thanks to John Garton from Genuine Jersey for introducing me to the produce of Jersey and to Arthur Lamy, one of Jersey’s Blue Badge Guides for showing me round the Island. And to Visit Jersey for hosting this trip. Right now, you could win a trip to Jersey yourself – check the website for more information. Thanks for the food education on Jersey. I had no idea it was such a culinary hot spot. Definitely a must visit for anyone looking for exquisite dairy and seafood products.